Join us for another sip & paint night hosted by the wonderful Laurieann. 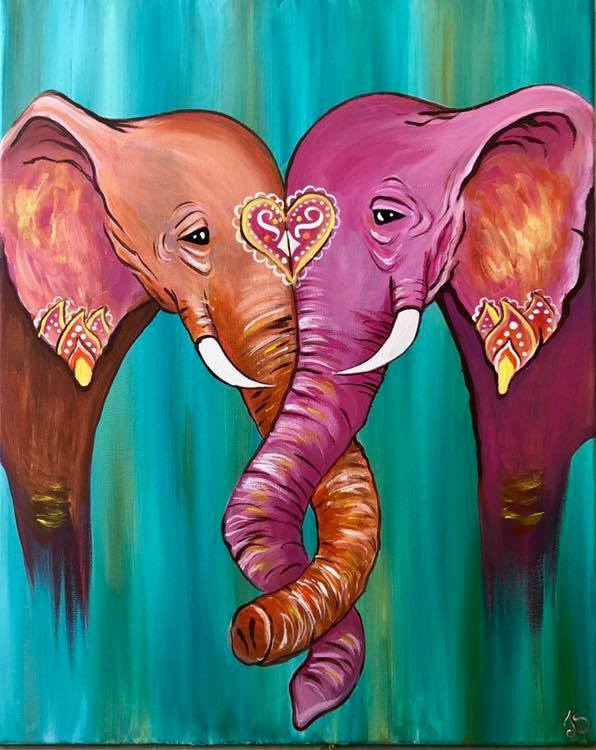 Participants will be creating a V-Day themed elephant painting. Step by step guidance will be given by one of our instructors. Prompt start of painting at 7pm.